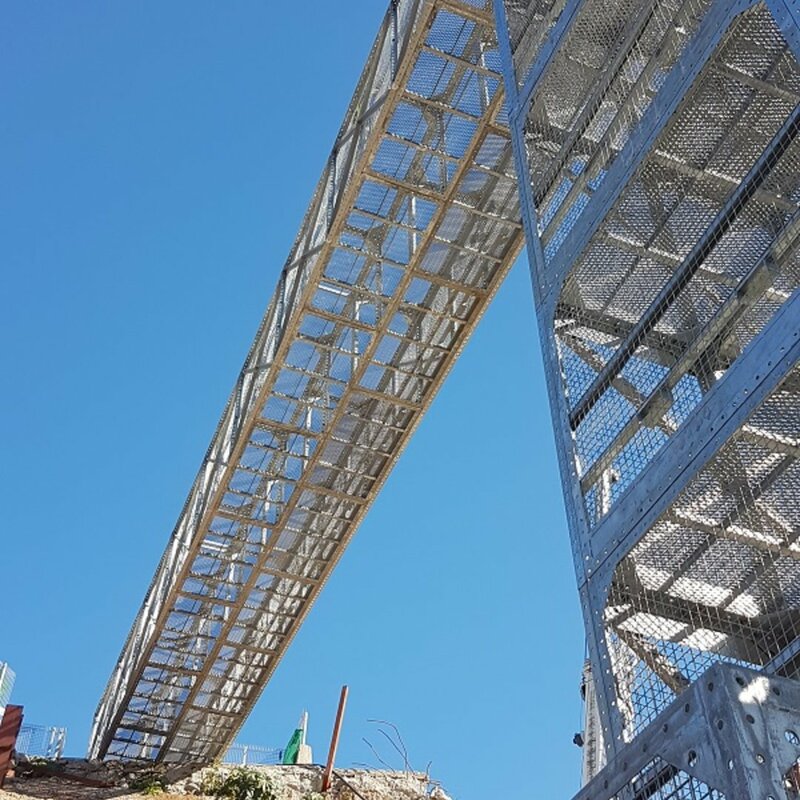 The intelligent and innovative solution to on-site access or support. 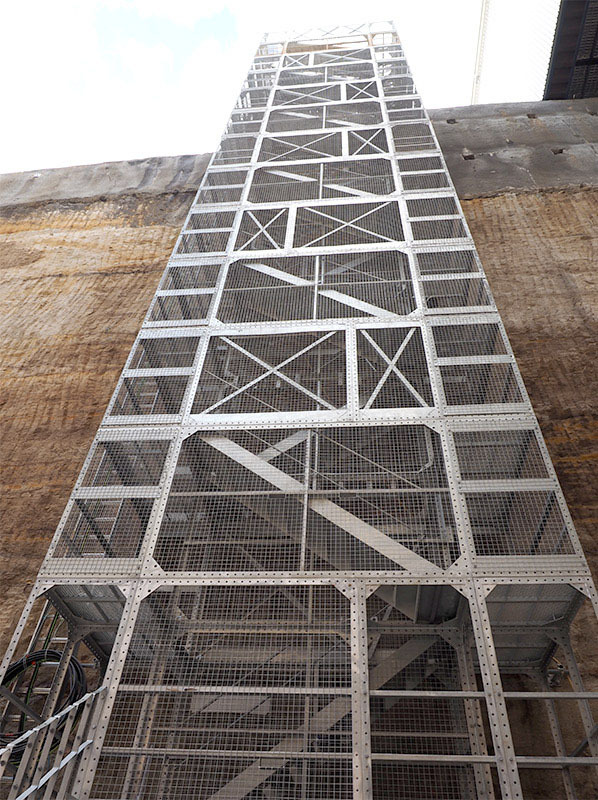 Our in-house design team brings you The Preston Towers with or without stairs, designed to simplify your task. 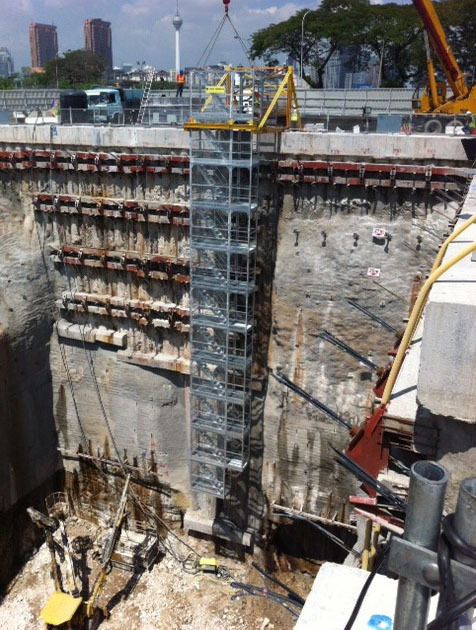 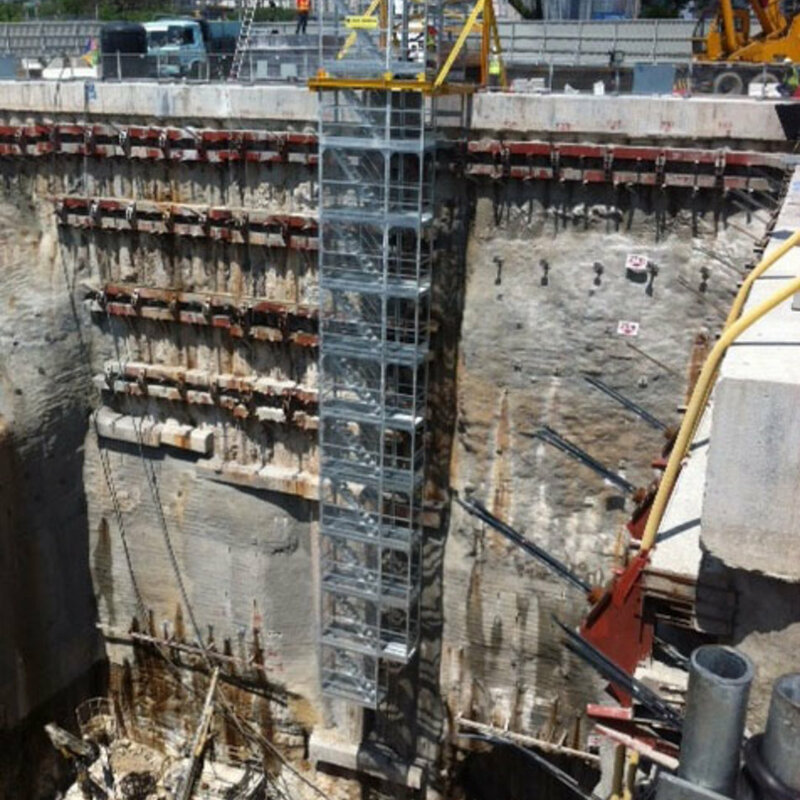 The Preston Tower is your answer for quick and safe access for supporting or shoring heavy loads and ideal for infrastructures, building sites, excavation hole, elevated road, lift shaft or any other use. 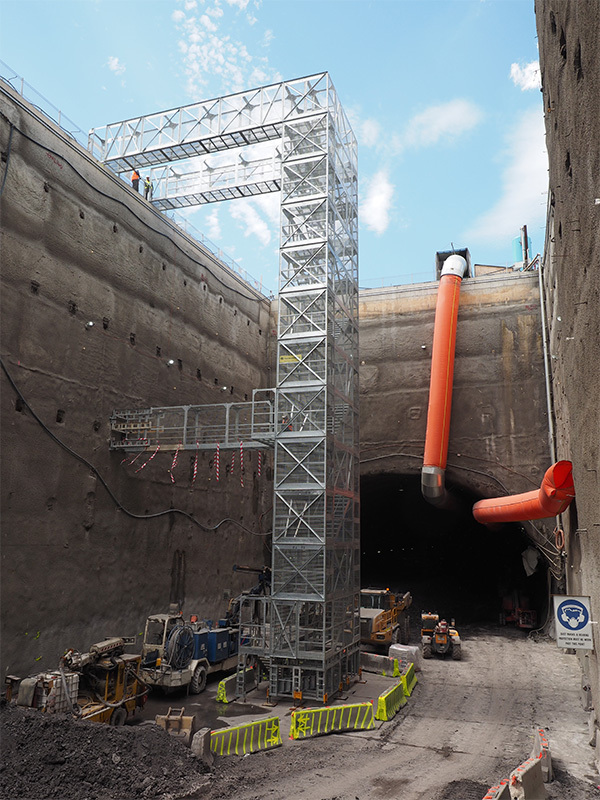 In the demanding world of height or below ground access, Preston superAccess continues to provide the construction industry with its innovative designs and high-quality manufacturing. 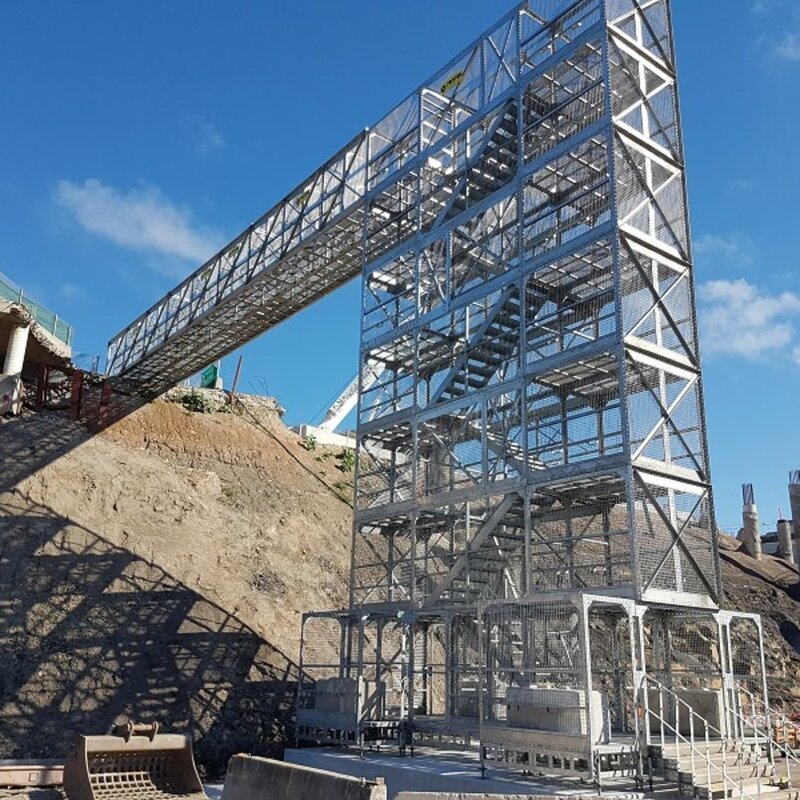 Our high quality, custom-made Preston Tower is a self-supporting tower which can be configured to any size, any shape, any height. 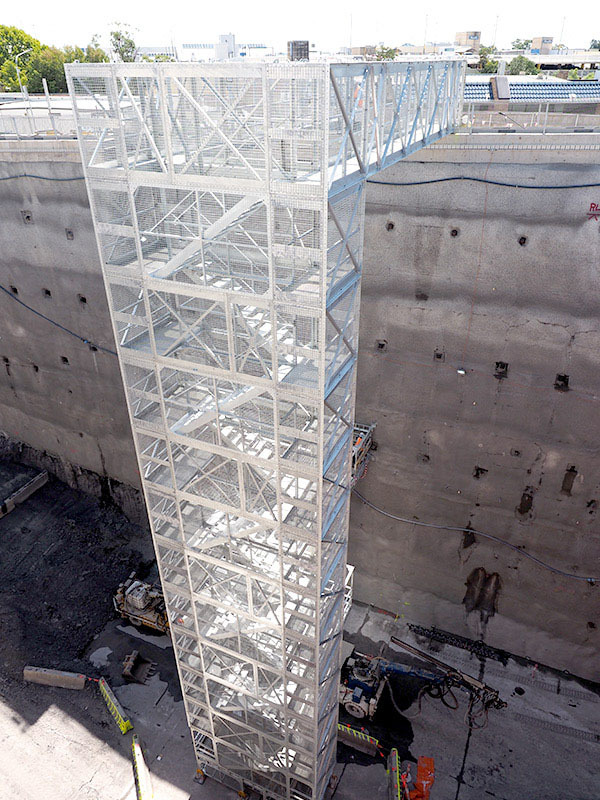 From no stairs to zig-zag stair towers to heavy-duty support towers, this is a builders dream come true. 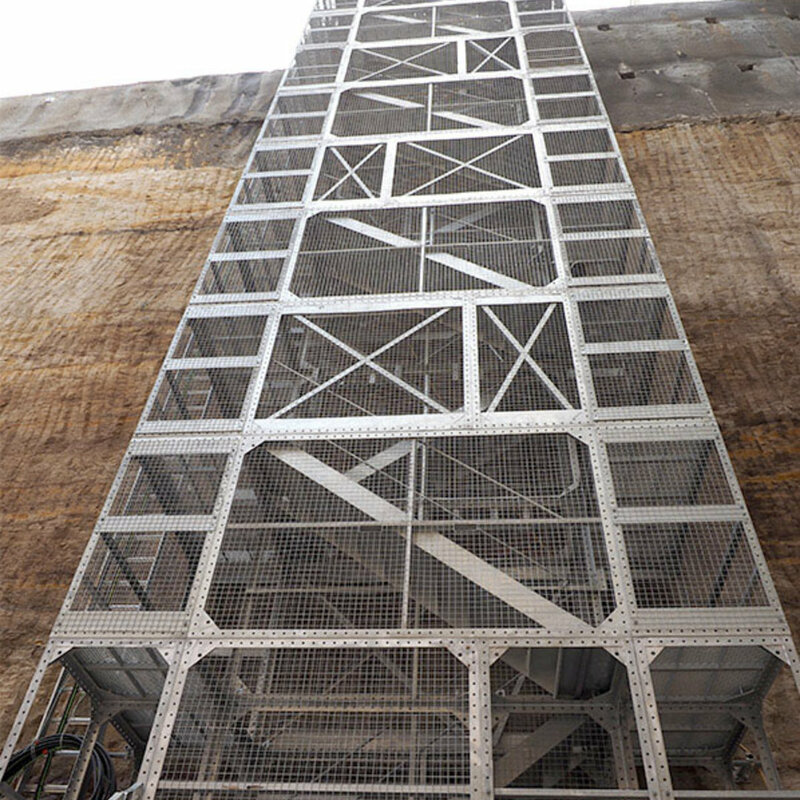 The Preston Tower is designed by building superAccess boxes one on top of one another to any configuration to help you solve yourheavy-dutyy support or access problems. 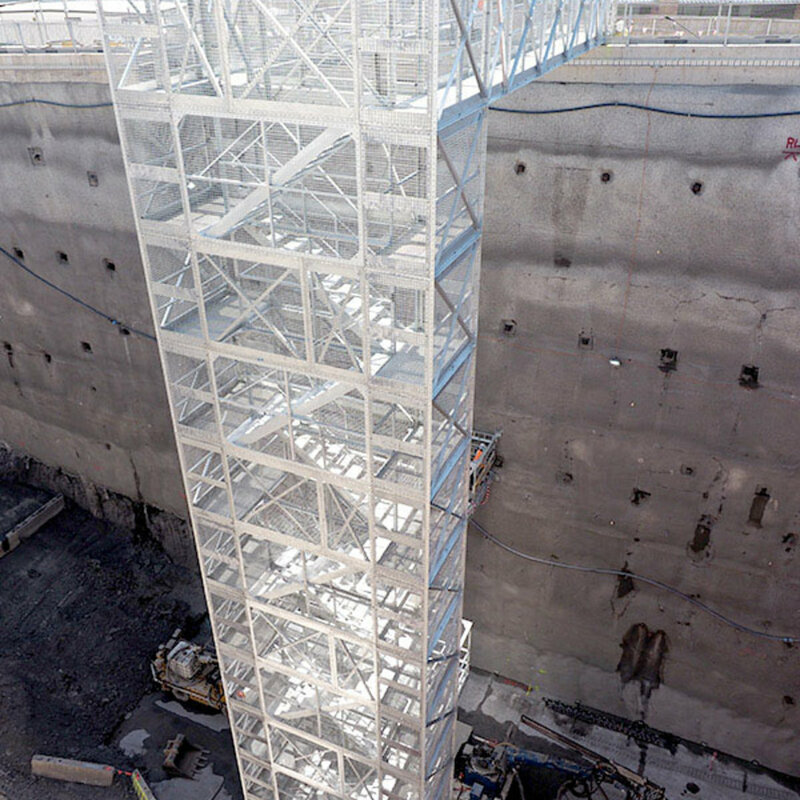 A superAccess modular box construction is unique and is the future method of reducing labour on-site, reducing accidents and increases productivity. 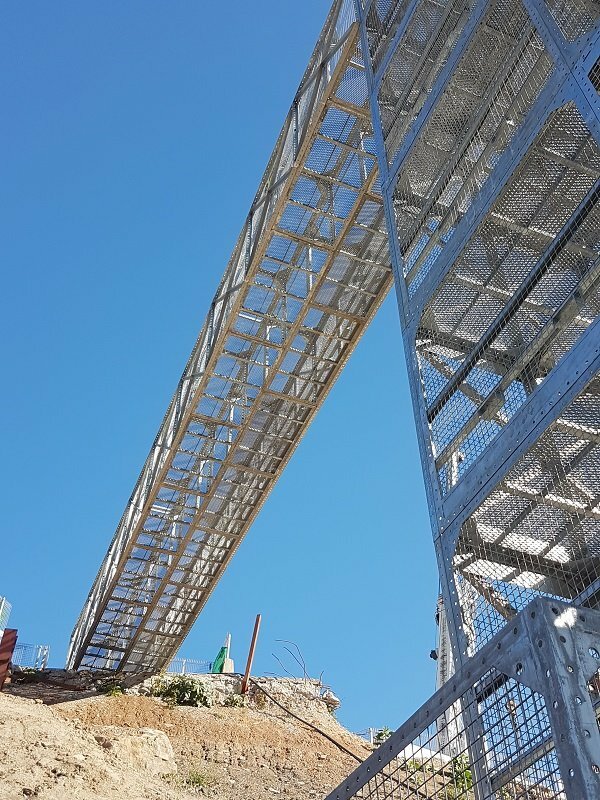 At Preston we only design equipment of superior safety and standard. 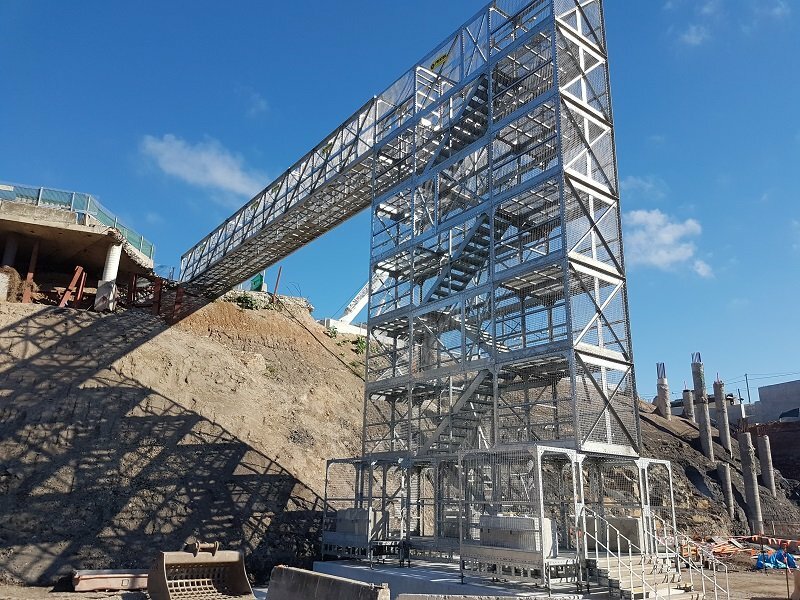 Therefore, our specialised design team have designed each box or structure to provide optimum safety making your climb and or heavy duty support a safe one. 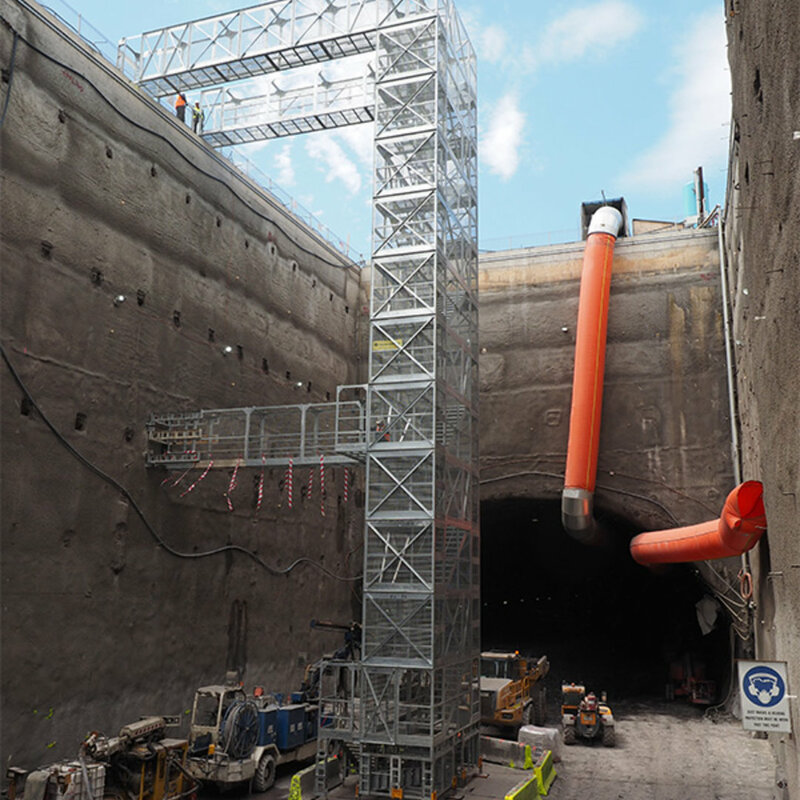 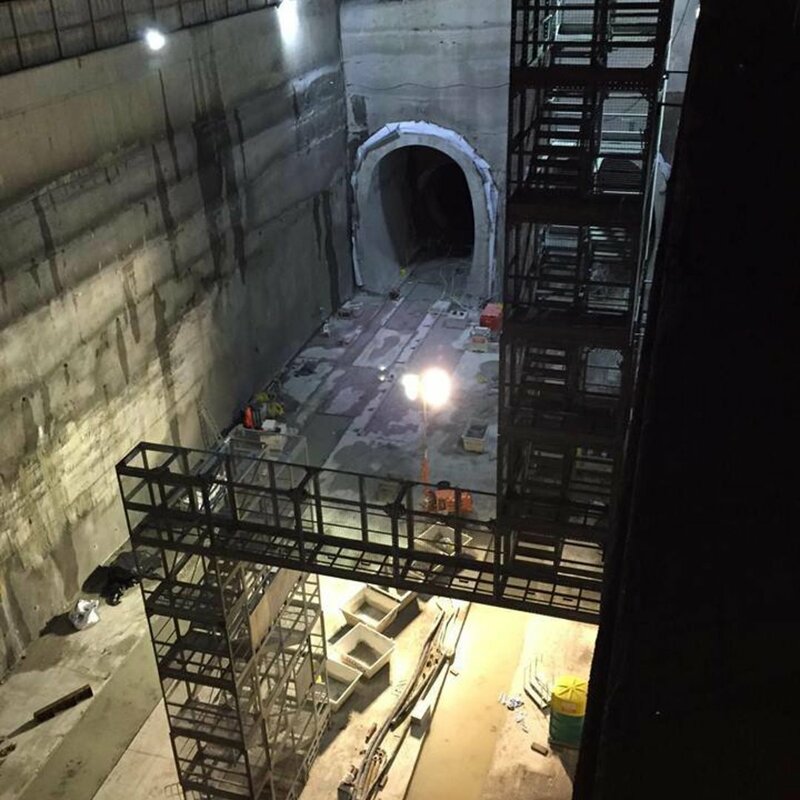 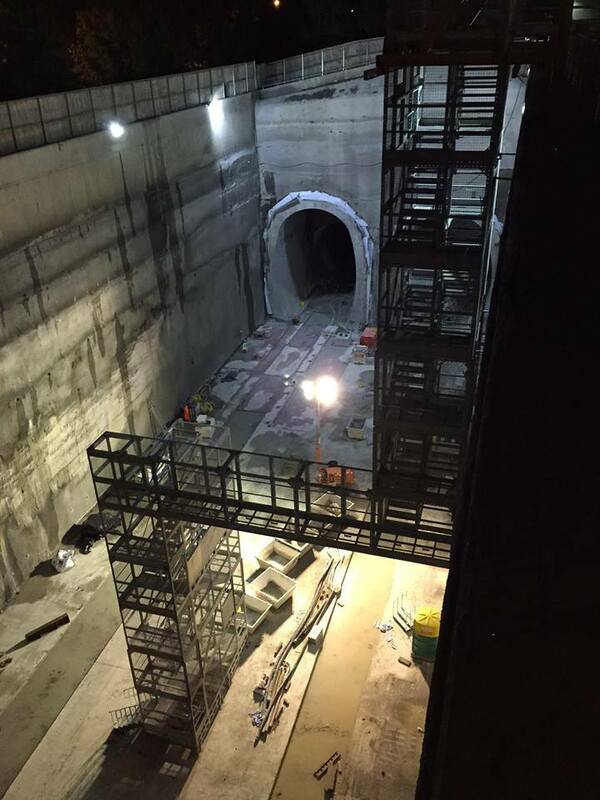 Preston superAccess has been a trusted supplier of the Preston Tower to most of the major Sydney Metro Railway Stations and is committed to providing continued innovative solutions of the highest quality to our clients.